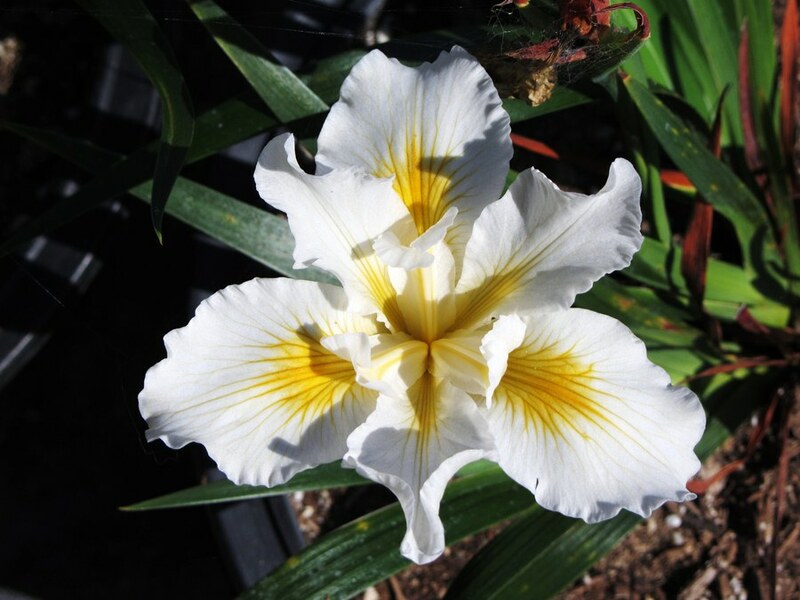 This is the classic white pacific coast iris. It’s got all the great features including and most importantly, it’s easy to grow under a wide range of conditions. It’s won multiple awards and was hybridized by Dara Emery at the Santa Barbara Botanic Garden.